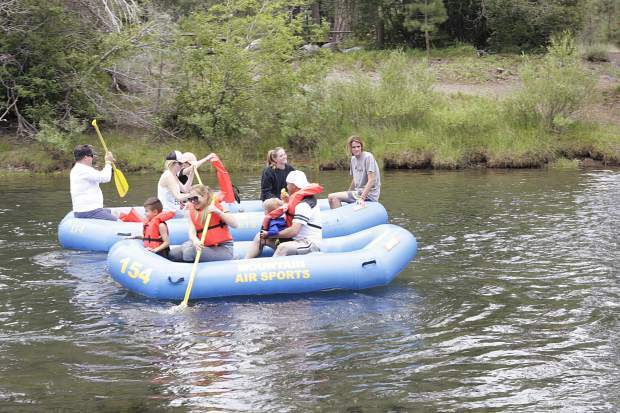 After having a brief window of operations earlier in the spring, Tahoe City’s two rafting outfits — Truckee River Rafting and Truckee River Raft Co. — returned to the water last Thursday, signifying the start to summer rafting season on the Truckee River. Earlier this year and last year, the Water Master released enough water to push flow rates to more than 2,000 cubic feet per second, which are the highest Rudnick said he’s seen on his 20 years on the river. The result of the rush of water kicked out buried refuse, but also twice destroyed the company’s landing dock near the River Ranch Lodge & Restaurant. Rudnick said he hopes this season, which he projected to be the best since 2012, will help offset costs of repairing the dock the past two years, while also allowing the company to tackle projects they’ve been eyeing since the drought began. To book a reservation with Truckee River Rafting call (530) 583-1111 or visit TruckeeRiverRafting.com. For reservations with Truckee River Rafting Co., visit with TahoeRaft.com or call (530) 583-0123.